Rare is the startup with the budget necessary to outsource its recruiting efforts – or even to hire someone to handle them in house. More often than not, entrepreneurs have to own recruiting and hiring themselves – on top of everything else they’re already doing. For this edition of Top 10, we reached out to the experts to find out which resources they’d recommend to help entrepreneurs recruit better. We’re using the term “resources” to cover a pretty broad range – below, you’ll find a book, some software, a few websites, tips, a social media platform, and one of the oldest strategies in every businessperson’s playbook. We didn’t want to limit the list to any particular type of resource because we understand that entrepreneurship is all about flexibility. No two founders walk the exact same path – but every founder should be able to find something useful here. It’s 2016. The overwhelming likelihood is that your startup needs at least one software developer on staff. And there’s no better place to find that developer than VentureStorm, which exists solely to connect entrepreneurs with developers. All of the developers on VentureStorm are people who want to be working in startups. They know what they’re in for, and they’re ready to face the unique challenges that come with trying to build a new product from scratch. This is a blessing for entrepreneurs: a wealth of available developers, all specifically looking for the inimitable startup environment. You won’t have to worry about your new hire heading for the hills because they couldn’t hack it. Everywhere you look, LinkedIn is there. After a while, you just get so used to its constant presence in your professional life. It blends into the background like a bland wallpaper. You overlook it completely. But that’s a mistake. As CEO and cofounder of SaleHoo Simon Slade can attest, LinkedIn can actually be a very valuable recruiting tool for entrepreneurs – especially if they spring for the Recruiter subscription. If you think LinkedIn is nothing but Facebook’s sleep-inducing cousin, you may want to think again. AngelList’s tagline is “Where the world meets startups.” It would be a pretty big oversight on our part not to list it here. If you want a job at a startup, or you want to post your startup’s job opening, or your startup needs money, or you want to invest some of your money in a startup, you go to AngelList. Plenty of others joined in on the love for AngelList, too, which is a pretty good sign that it may be just what you need. Startups are agile – and that agility should extend to their recruiting and hiring processes. They should be able to find the talent they need quickly and efficiently. TalentDash is great for that purpose. You describe your company, the kind of talent you need, and where you need it, and TalentDash generates a talent heat map. That map shows you hot spots where large numbers of candidates are located – as well as competitor companies that you should keep your eye on (and maybe consider poaching from…). With TalentDash, you don’t waste time looking for where your candidates are hanging out – you get that information right away, which enables you to make quicker and more informed decisions about your recruiting strategies. “At the start of the application process, I give a simple instruction to all applicants: Copy and paste the quote, ‘Yippee! I’m extremely interested in interviewing for your position,’ and place it at the very beginning of your email cover letter. “If they don’t copy and paste that line exactly as it is, my email filter simply deletes the application. If they copy and paste the line – which has extra spaces between the words ‘your’ and ‘position’ to stop them from typing the response, then the application gets forwarded to me. As we said – it’s downright dastardly. But here’s the thing: It clearly works. And when you’re running a startup, you don’t have time for tips and techniques that don’t work. Plus, you need someone who is committed to your organization – who is really going to put their heart and soul into their work. If they can’t be bothered to follow your application instructions, do you really want them for the team? Sometimes, an entrepreneur just has to get a little fiendish. Where do you get your application forms from? They don’t just pop into existence out of thin air. You have to actually make them. If your website is built on WordPress – and many startups’ sites are – then Gravity Forms might be the best way to create custom application forms that you can add right to your website – no mess, no fuss. And because the forms are customizable, it’s easy to craft applications that reflect your organization. According to Ji-A Min, head data scientist at Ideal.com, a startup’s inherent agility means it can make much better use of talent marketplaces than larger companies can. The name of the game when it comes to talent marketplaces, as you might have guessed, is speed. Find a marketplace that has the kind of talent you need, get in there, and start recruiting. The longer you wait, the more time those larger companies will have to clear bureaucratic hurdles and gain on you. So far, this whole list has been about tools and techniques you can use to make better hires more quickly and easily. But what if you need some even more basic help – what if you need help figuring out just what to look for in talent? If you’re a first-time entrepreneur, you may have zero experience with hiring people. 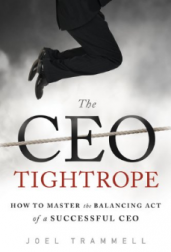 If that’s the case, you may want to check out Joel Trammell’s The CEO Tightrope. No matter what tools you have at your disposal, they’ll be useless unless you know what your goal should be. Eventually, you’re probably going to need an applicant tracking system (ATS). Maybe not now. Maybe not even for a while. But you’re going to need one, especially as your company starts to scale up. Zoho Recruit is the best place for entrepreneurs to start feeling out the ATS world because it’s super affordable at the low, low price of free for one recruiter. That single-recruiter version is a little limited on features, but the standard version is only $25 per recruiter per month – and you can even try it for free before you buy it. Is there a single business problem that can’t be solved by networking? 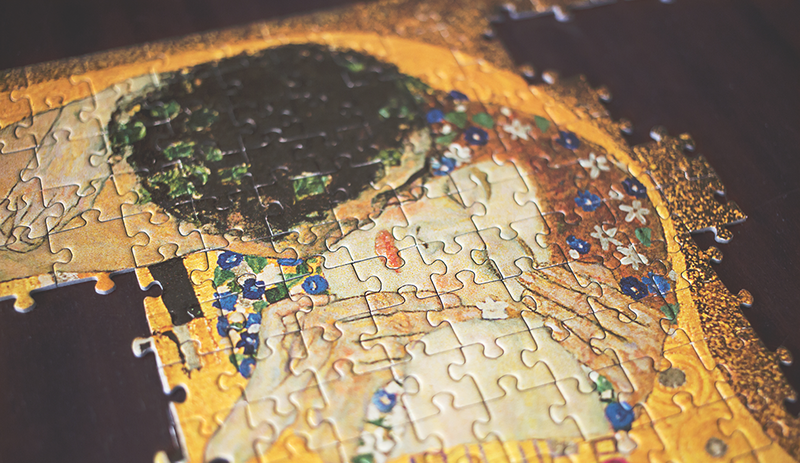 If so, we haven’t found it yet.